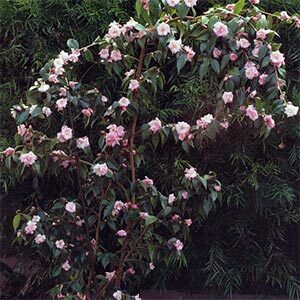 Rambling Rosie has an open growing habit with arching branches making it ideal for containers or topiary. Flowers are small, pale pink and appear in the winter months. Prefers well-drained soil and partial shade. 2.5m tall x 1.5m.